Is Trevor Hoffman a Lock for the Hall of Fame (or Even a Worthy Candidate)? Are 601 saves enough to get Trevor Hoffman into the Hall of Fame? When Trevor Hoffman recorded his 600th save back in September, I kind of paid him a backhanded complement by unfavorably comparing him to Mariano Rivera. The intention wasn’t to denigrate Hoffman, who has had a wonderful career, but rebut the notion that put both relievers in the same class. In any event, Hoffman has now officially retired with 601 saves, leaving him just 42 ahead of Rivera, so, when all is said and done, he may eventually find himself looking up at the great Yankees closer in even that regard. For a fitting tribute to Hoffman, Buster Olney does the job quite well. However, Olney goes way overboard by suggesting he “should be an absolute lock first-ballot Hall of Famer”. Make no mistake about it. Hoffman deserves serious Hall of Fame consideration, and he does seem a fair bet to win eventual enshrinement. However, he is far from a slam dunk candidate. If Olney is correct, then it will mean that Hall of Famer votes are still fixated on the saves stat. Recent voting trends, however, suggest otherwise. One of the ironies behind the recent elections of Bruce Sutter and Rich Gossage is a greater appreciation of the roles they filled seemed to come at the expense of the value placed on the modern closer. Gossage’s own comments about the evolving role of the reliever have highlighted this give and take. When Lee Smith first appeared on the ballot in 2003, he was the career saves leader with 478, but only polled 42.3% of the vote. That same year, Sutter (300 saves) earned 53.6%, while Gossage (310 saves) tallied 42.1%. In the intervening years, both Sutter and Gossage earned enshrinement, while Smith’s vote total stagnated (in the most recent election, he polled 45.3%). If saves were the driving factor behind a reliever’s Hall of Fame credentials then wouldn’t Smith have been the more popular candidate? It should be noted that Hoffman’s 601 saves are almost equal to the totals of Sutter and Gossage combined. So, it is possible that such a large number could hold sway. On the other hand, if Rivera does eventually take the lead, it could remove some of the bloom off that figure by the time five years go by. What’s more, if guys like Francisco Rodriguez (268 saves, 28 years old) and Jonathan Papelbon (188 saves, 29 years old) continue their march to 400 saves by 2016, it could further remove some luster from Hoffman’s 601. Assuming that saves alone do not a Hall of Fame reliever make, we then need to examine how Hoffman compares to his peers in other regards. As previously mentioned, Rivera really is in a class unto himself, which may or may not impact the consideration of other contemporary relievers. So, where does Hoffman stand among the second tier of modern closers? Although Hoffman stands atop the list above in saves, he really doesn’t stand out in any other category. 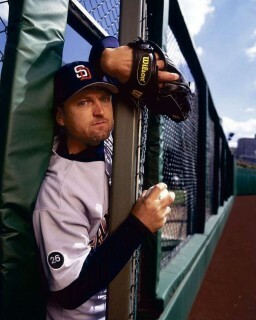 In fact, it’s really Billy Wagner who seems to emerge as the leader of the “not Rivera” group. Considering that both Wagner and Hoffman will go on the ballot together, it could be very difficult for either one to distinguish himself enough to earn a first ballot entry. Postseason performance is what really allows Rivera to lap the field. Although Hoffman’s 3.46 ERA is respectable, none of the other relievers really have much of a sample to consider. If anything, Hoffman’s high profile blown save in the 1998 World Series could actually work against him, especially among that portion of the electorate that seems fixated on moments (see Jack Morris). One final note of warning regarding Hoffman’s Hall of Fame chances comes from the results of the 2011 ballot. John Franco, who is a worthy comparable to Hoffman, not only did poorly in the polling, but actually fell off the ballot with only 4.6% of the vote. Although not 601, Franco’s save total is still fourth all-time, and that obviously had little sway with the voters. Is Trevor Hoffman a Hall of Famer? At this point in time, I think it is too difficult to tell. What he is not, however, is a lock, and particularly not a first ballot lock. In the wake of a player’s retirement, many can be prone to exaggeration. That’s why the Hall of Fame makes its electorate wait five years before casting a ballot. Hoffman at #19 all time (#2 all time reliever) and surrounded by current and future HOFers looks like a slam dunk case for enshrinement to me. I would question the wisdom of using WPA to evaluate players. Although I think it is useful for defining “big plays”, it comes up lacking in evaluating players because it is highly dependent on context. In other words, WPA gives the pitcher all the credit for everything that happens, which flies in the face of concepts about the level to which a pitcher controls balls put into play. Also, WPA greatly elevates the ninth inning over all others. Again, leverage is a valid concept, but I am not sure it is to the extent assigned by WPA. Additionally, in order for WPA to include things like park factors and era-based context, a whole series of assumptions have to be run through simulations, which is problematic (and why B-R and fangraphs have different totals). Finally, even if WPA was perfectly valid for this comparison, it is even more foreign to the electorate than concepts like WAR, so I doubt it would make a convincing argument in 6 years. Regarding the electorate: they are as likely as not to be convinced by 601 saves. When I was referring to “slam dunk case” I meant more for the likes of me and you. FWIW, I am coming around to the position that WPA is currently the best metric for evaluating relievers (especially closers). That guys like Rivera and Gossage score so well only seems to confirm that it “works” well enough. My main point, which we have have bantered about before, is that unless one sets the threshold for HoF relievers (of the closer era) at “best of all time” (i.e., Rivera), then Hoffman simply has to make the cut. He is almost certainly #2—I’d be willing to go as far as #3—all time (which really means of the last 20 or 25 years). WPA may be a good method for comparing closer to each other, but I don’t think it’s apples-to-apples with starters. I also don’t think Hoffman has to make the cut. Rivera is in a class unto himself, but guys like Gossage and Fingers have so many more innings than Hoffman that I think they both rate well ahead. I am not comfortable giving Hoffman extra credit because he pitched inside the box of the save rule. Hoffman might be the next best after that trio, but it could just as well be Sutter or Wagner. What’s more, because of the evolution of the closer, we may be talking about guys like Krod or Papelbon as being better. One more point about the list above. I am not sure where it came from, but I don’t think WPA goes back past the 1950s, so that would really be a list since then, and not all time. I like your website and am also a Yankee fan. (Saves – Blown Saves)/Save Opportunities. The first stat is an adjusted save conversion ratio. The second is a broader measure of effectiveness. Knowing these numbers would give me a better sense of whether or not a reliever belongs in the HOF. Finally, I think it is difficult to handicap the current crop of reliever because they seldom pitch more than one inning like Fingers, Gossage, Lyle, etc. That is beyond their control. Before free agency, starter pitcher until their arms fell off but no one suggests that we handicap Maddux or Glavine because of that. One problem with looking at stats based on save opportunities and blown saves is not all are created equal. Although you could argue things would even out over time, a 1-run save doesn’t equal a 3-run save. Also, a 3-run blown save doesn’t equal one when the reliever enters the game with no outs and a man on third. Because Hoffman was more likely to be used for one inning, he would theoretically get a boost in a any stat that compares blown saves and save percentages. I think you can still compare the current crop to the past in the same way you do starters….by comparing how each compared to their eras. That’s why I tend to discount Hoffman. I really can’t convince myself he stands above Wagner, so I am not ready to say he is a slam dunk Hall of Famer (nor am I prepared to say he doesn’t belong). I’m still amazed how Lee Smith is on the ballot for the Hall of Fame. While I’m not a Yankee fan, I have to say that Rivera at least transcends the modern reliever role and has been clutch despite the fact that every year the predictions magazines and television shows say that he has to fall off. I found your site looking for famous blown saves by Hoffman. Good stuff. Here’s to a great 2011 season.